Furious Red Bull issues F1 quit threat! 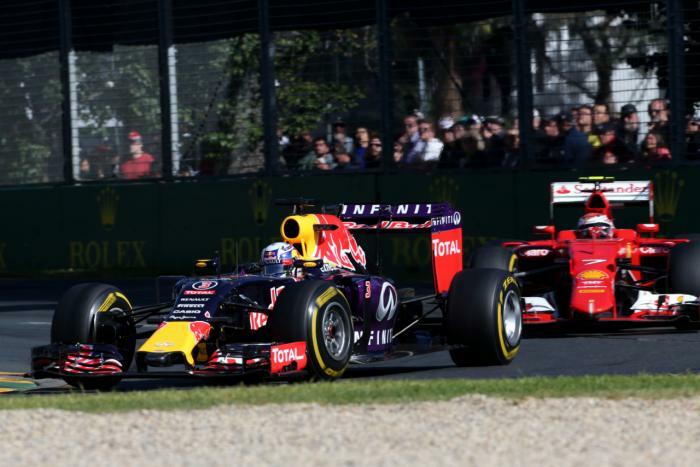 Red Bull has threatened to quit formula one. "We are dissatisfied with the way formula one is governed," Dr Helmut Marko was quoted on Sunday by Germany's Auto Motor und Sport. Team boss Christian Horner said Sauber, Ferrari's engine customer, is a perfect example of what is wrong with the current rules. All week, the Swiss team has clung to survival in a Melbourne courtroom, but on track in Melbourne, it was a F1 giant-killer. "They're using last year's wings," marvelled Horner. "Our new chassis is half a second better than the last year. "The difference is the engine," he insisted. Horner, however, claims the French marque's step has actually been "retrograde". He said the 2015 power unit is "undriveable". Marko says that is "unacceptable". "To be able to drive at all, we have to use 80 to 100 horse power less," claimed Marko. Red Bull is now taking steps to get more involved in Renault's development process, including bringing in the Austrian giant AVL and engine guru Mario Illien. "When we were winning," Horner said on Sunday, "double diffusers were banned, exhausts were moved, flexible bodywork was prohibited, engine mapping was changed. Anything." Newey added: "With Mercedes, nobody says a word." Horner continued: "I think is it healthy to have a situation where the FIA, within the rules, have an equalisation mechanisation. I think perhaps they need to look at it." Faced with Horner's 'equalisation' proposal, Mercedes chief Toto Wolff late on Sunday used an unpublishable four-letter word. "Our job is to attack Mercedes on the track," said boss Maurizio Arrivabene, "not to change the rules." Furious Red Bull, meanwhile, issued its quit threat. "If the cost-benefit calculation no longer makes sense," revealed Marko, "we have thought about an exit scenario."